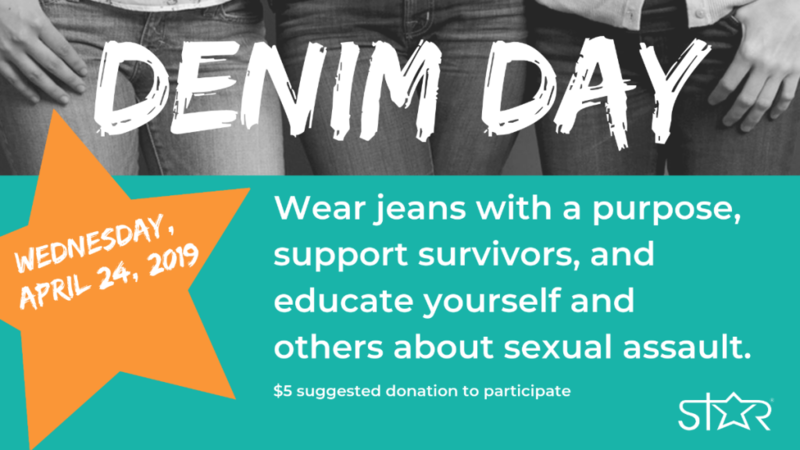 On April 24th, we ask community members to stand with survivors and join STAR in wearing jeans. Participants can snap a selfie in their denim and tag #STARadvocates to increase awareness of the issue. There is a $5 suggested donation to participate. Are you ready to join us? Click here to RSVP now!